Next Level Promotions, LLC - Robert's "Pick-Of-The-Week"
Hey, thanks for stopping by. This is the home of Robert's "Pick-Of-The-Week"
Hi, you've found the right place..the home of Robert's "Pick-Of-The-Week." If you click on the "Archive" button you'll be able to look at past "Picks" They'll be arranged from newest to oldest. Our most recent "Picks" are presented below in condensed version. Follow the link to read the complete version of the "Pick." Golf is the most frustrating game, ever! There's a concept in psychology known as "random reinforcement." Basically what it means is that the little lab animal has no idea when it's getting the food. No idea at all because getting the food has absolutely nothing to do with any consistent behavior on the animal's part. The reward is totally random - and it is the most powerful type of reinforcement. Golf is like that. You can hit a beautiful shot and have no idea what you did right or how to duplicate it. But, it gets you psyched to continue playing, and that my friends, is random reinforcement at its most insidious. Golf is also addictive because it has such cool and expensive equipment. If you have even the most casual relationship with golf you know exactly what I mean. And, there's always some new item or article of clothing to acquire. And we have the newest hot golf product available; it's brand new to the market, tremendously useful and it's not that expensive. You will not see this anywhere else. The golf towel with a patented brush for cleaning your clubs. The brush is permanently bonded to the towel and is positioned so that your logo is always visible. 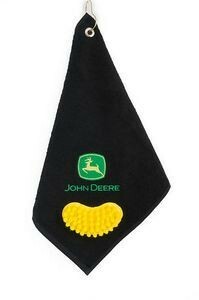 If you've ordered golf towels before you know that your logo can get lost in the folds of the towel but not with this one. Club makers suggest using only plastic brushes to clean club heads. These brushes are made with no metal and are the perfect cleaning tool. They are very durable. When it gets dirty just throw it in the washer and dryer. 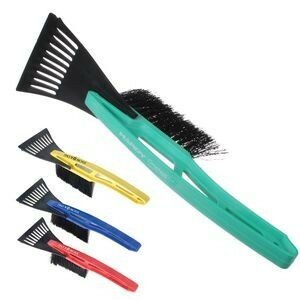 The brush comes in 6 colors and if you order 300+ towels you can mix both the base and bristle colors. Golf season will be here before you know it and in some parts of the country it never ends. This new-fangled golf towel will be sure to please. And, no one else will have it. Follow this link to read the original "Pick"
This probably never happens to you so you can skip this and go back to what you were doing. However, for the rest of us who bumble and stumble through our days; who misplace things; who end up ransacking our pocket books, jacket pockets, drawers and closet floors; those of us who get half way to the car, start patting our jacket pockets looking for those darn keys; those of us who are already late and are frantically upending everything on the counter or desk top looking for that elusive set of keys - Aha! Here is your salvation! 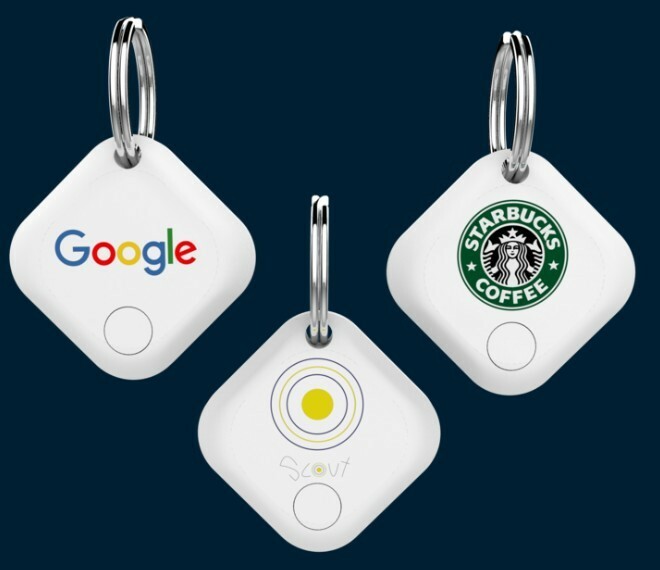 Here's how it works: Attach the Bluetooth enabled tag to your key chain...download the app. When you've lost your keys simply open the app and press 'find.' Scout will start ringing. Follow the sound and the geographical features on the app to get your keys back. "Aha!" you say..."I haven't lost my keys, I've lost my phone! What now, Scout?" You can call your phone by pressing a button on Scout. Scout is battery operated with no standby feature which would use up a lot of battery. You can use Scout anytime, anywhere without having to worry about turning it off. This is a great event gift. It's a natural for a brand launch, a milestone celebration, an employee recognition event. You are not going to see "Scout" everywhere. Your brand will be very visible with this well-designed and very useful piece of technology. One of the charming aspects of living in New England is winter. Usually it doesn't just snow here. It really snows. Then the temperature goes up and it rains. Then the temperature plummets and it all freezes. Your car is now encased in ice. What a joy. Since we're all in the same boat, here are some ideas for your customers or staff that will be appreciated and garner you goodwill. I've got 4 selections for you - 3 are ice scrapers with brushes. One is an ice scraper with a cushioned foam handle. This one is great for chipping away at the ice - it saves your hand. Here's what makes these gifts so attractive - they're affordable and useful. 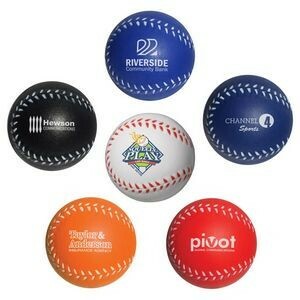 •You could easily use these for trade show gifts. •They would be a welcomed sales call "leave behind." •Insurance companies - what a thoughtful item. •Banks - a nice treat to have in your lobby for your customers. •Auto dealerships - a natural You can probably think of other ways to use them in your business. Give me a call and I'll help you pick the right one for your situation. And you'll get a jump on the weather and be handing them out at just the right time. New England - don't you just love it! Stop for a second and think - when was the last time cookies showed up in your office? How long did they last? And, the person who brought them in was a hero. Now that we are officially in the holiday season, here are 3 ideas for making you a hero. 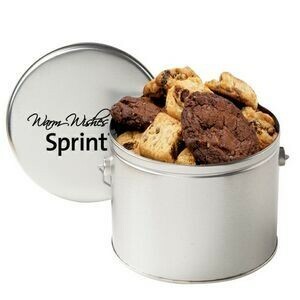 The Medium Assorted Snack Tin, (Large and Extra Large tins are also available), can be filled with 16 Chocolate Chip cookies or an assortment of Chocolate Chip, Oatmeal Raisin, Double Chocolate Chip with Walnuts and White Chocolate Macadamia Nut. This is a great way to say "Thank You." The Half Gallon Snack Tin contains 24 cookies and makes quite an impression. Just like the Medium Assorted Snack Tin you can select an assortment of Chocolate Chip, Oatmeal Raisin, Double Chocolate Chip with Walnuts, (yummy), and White Chocolate Macadamia Nut, (double yummy). This one comes in an attractive tin with a handle that's sure to find a use after the cookies are gone. For an elegant shared consumption gift you can choose the Gourmet Cookie Temptation Gift Box. You can choose your box top and box bottom color and coordinate with a matching ribbon. 5 chocolate chunk, 5 oatmeal raisin, 5 white chocolate macadamia nut, and 5 double chocolate cookies make this a most welcomed and appreciated holiday gift. We have many other options for you so give us a call to discuss what's the best way to say "Thank You." The holidays are upon us so call right now and make sure you say "Thank You" to your best customers and most promising prospects. Here's the problem with trying to buy gourmet food gifts for your clients or staff. •	You wait until the last minute and find yourself frantically searching the aisles of Costco or BJs or Sam's Club. •	Everything looks the same. •	How fresh can this stuff be? Who knows how long it's been sitting on the shelf; let alone when was it originally packaged and shipped. 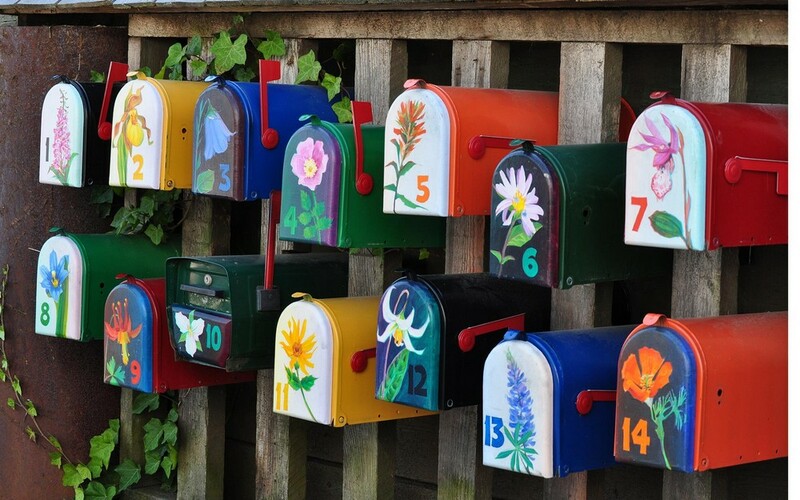 •	How are your recipients going to know this gift came from you? Your logo and name will not be on these gifts. •	You're not at a big box store? You're on-line at Harry and David's - (Do you know that when they send out a gift it comes with all their promotional material - nothing about you). 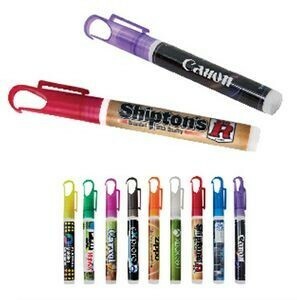 Here's a better idea; one that will solve your problem and allow you to customize your gift to your clients or staff. 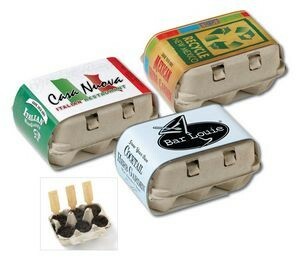 We have created our own web site focusing only on fresh, gourmet food gifts - for the corporate market. 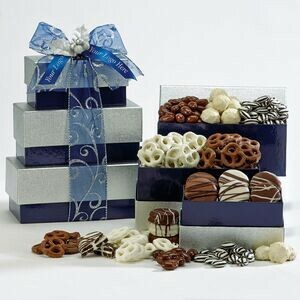 Here's the link to our site: Next Level Promotions corporate food gifts The holidays are a time to celebrate clients and staff who have played an integral role in your success this past year. Showing your appreciation is more than just giving a gift, it's about giving a gift that truly represents the quality of your company, its products and services. A generic gift off the shelves of a big box store doesn't reflect the quality of your brand. Give me a call - you have the luxury of time to get this right. We take care of everything for you. We can ship the gifts directly to your clients, add a custom card...whatever you need. I was quite amazed (and mystified) when I first saw this product. 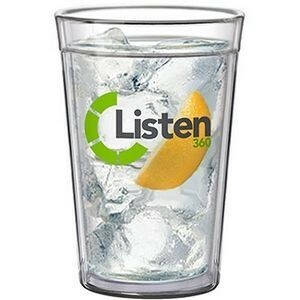 Here is a seemingly simple and straightforward double walled acrylic tumbler. There are no wires, no software, no bluetooth and yet it keeps hot drinks hot and cold drinks cold. How does it know? The answer, of course, is that it doesn't know and it doesn't care. The secret is in the double wall construction. This allows the tumbler to keep hot liquids hotter for longer and cold liquids colder for longer. Even better, the double wall construction makes it more comfortable to hold a hot drink and there is no sweating when it's a cold drink. What a great "welcome" gift for employees moving into new office space. Pair this with packages of hot chocolate or ice tea mix. These would be a nice addition to a room drop/pillow gift. Resorts can make these available as a guest amenity. Your guests can go home with a tangible souvenir. How about using them as a sales call "leave behind." Insert your sales sheet and brochure along with the packages of ice tea or coffee. However you use them, put it all in a nice gift bag and voila - a great little gift. 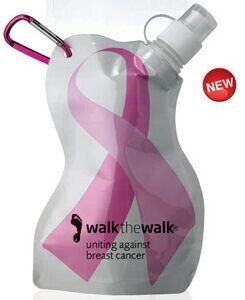 Both can be imprinted in full color graphics and an open/close lid is available. These tumblers are made of crystal clear acrylic and are quite substantial in look and feel. Send us your logo and we'll do a virtual for you. Follow this link to read the original "Pick." I'm writing this on May 5th...Happy Cinco de Mayo! May is the best month. It's finally starting to get warmer. The days are longer. The pool gets opened for the season. Everyone is out running, walking and bike riding. May 25 is Memorial Day. Lots to do and lots going on. You can be a part of your customers' (and future customers') good times with a well chosen item that celebrates the coming of Summer. Yay! Here are some terrific ideas to get you started. There's so much more - give us a call and we'll help you find the perfect gift to keep your name in front of your customers all summer long. Especially while they're doing something enjoyable - grilling and eating. This is the time of year when many companies get involved with CSA's (Community Service Activities). From now, throughout the Summer, and into the Fall, businesses and professional organizations will be out there cleaning up parks, building playgrounds and doing other community projects. Maybe your company or organization is planning such an event. You're thinking about T-shirts or caps. Both are good ideas. But how about finishing off their outfits with work gloves? Nobody ever thinks of that but gloves would be so appreciated! Here's four styles to get you started..there are more. So give us a call and we'll lend you a hand in getting your crew outfitted. Did you happen to notice all the bicycle riders out this past weekend? They were all over the place! They sprouted faster than the daffodils! There were the Tour de France types all decked out in spandex. And everything in between including the kids on their colorful bikes with the handle bar streamers. Spring is here. May is National Bike month. Here are 3 suggestions for inexpensive ways for you to create some goodwill for your company. 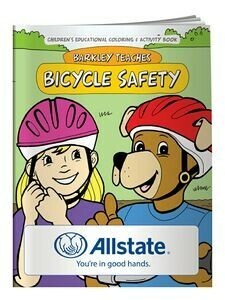 These 2 coloring books and the slide-guide provide kids with a fun way to learn the lessons of bicycle safety. At the same time they're getting your name in front of the parents who buy your company's products and services. Need an inexpensive way for parents to feel good about your company? There are 3 right here. You can pair the coloring books with a box of crayons to complete your package. 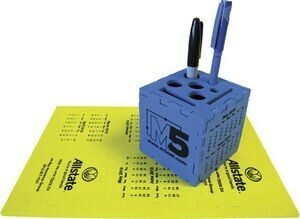 Great for banks, insurance companies, schools, real estate offices. May is only a couple of weeks away, call us now to place your order. Whew! We made it through a record setting winter as far as snow totals. We're almost done with taxes. The baseball season is underway..Go Sox! What's just over the horizon? The month of May! Along with the promise of warmer weather and all sorts of outdoor activities, May has a lot going for it. Here's a preview: May is National BBQ Month May is National Bike Month May is National Salad Month May 3-9 is National Pet Week May 11-15 is National Bike To Work Week What's in it for you? These are 5 tailor made opportunities for you to have people thinking about you. Be noticed and be remembered. All of these are celebrations of outdoor and fun activities. What better way to get noticed than to have your logo associated with fun and the outdoors. In upcoming "Pick-Of-The-Week" posts I'll be highlighting products you can use to celebrate May and get your name noticed and remembered. 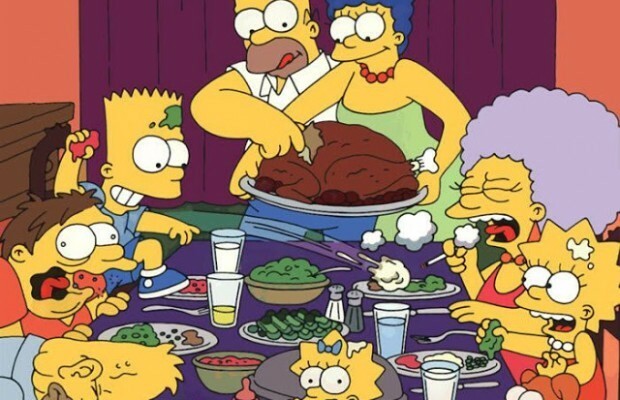 In the meantime, here are some ideas to whet your appetite! That's the opening sentence of the 1830 novel Paul Clifford by English novelist Edward Bulwer-Lytton. It's often ridiculed as being the poster child for bad,melodramatic prose. There's nothing melodramatic about calling this umbrella a lifesaver. 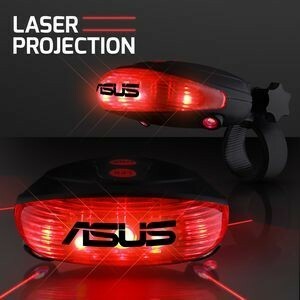 It has a full 1" band of reflective material on all panels. On any dark and stormy night this will surely stand out. 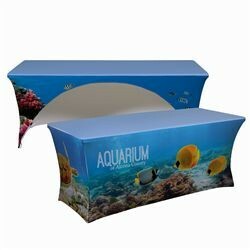 It has a generous 42" arc and the canopy is vented so it won't be blown inside out. 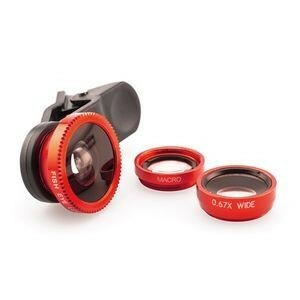 The frame is windproof with a sturdy metal shaft. It folds down to 15" so you're not dragging around some huge contraption. And...it's auto open! What is more annoying than fumbling around trying to open an umbrella in the pouring rain? For not a lot of money this is a gift that will be appreciated, retained and used. Isn't that just what you want from your promotional products? The snow has stopped (we hope!) but next up are the Spring rains. 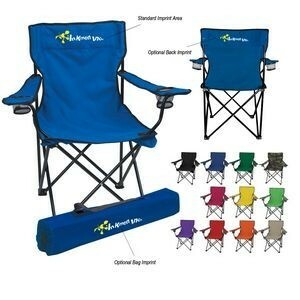 See your logo showing up all over town on this practical item! Send us your logo and we'll do a free virtual of your design. 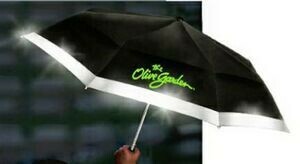 It might be a dark and stormy night but you and your customers will be safe and dry under your Lifesaver Reflective Umbrella! Follow this link to read the entire "Pick"
Follow this link to read the complete "Pick"
February 14th is Valentine's Day 2015! 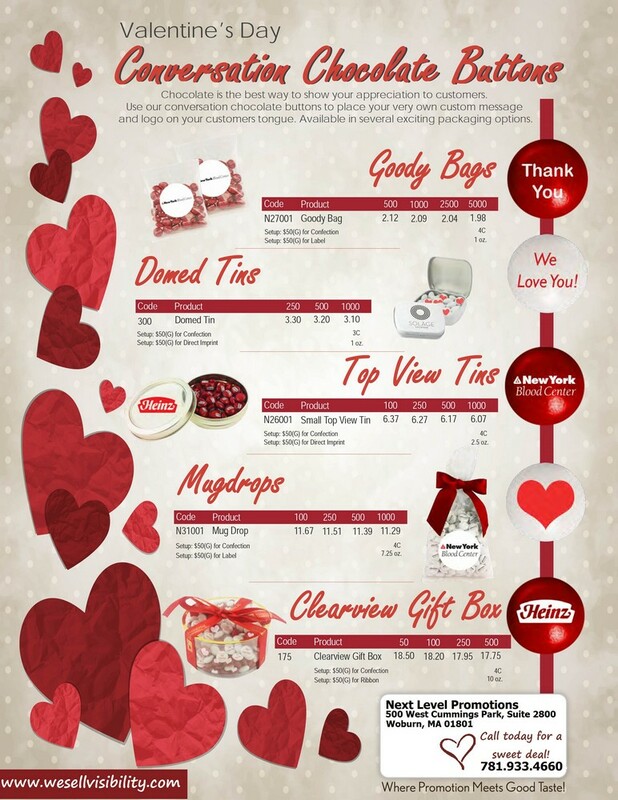 Here are some tasty and enticing ways to show appreciation to staff and good customers (and soon to be good customers). All these options - and more - can be decorated with your logo. Call us now so you'll be in time for the big day on the 14th. Your selfie, my selfie, everyone's selfie... David Ortiz is 6'4". He is, it's safe to say, a rather tall person. His arms are a lot longer than mine and probably yours as well. So when David takes a selfie he can get a fairly good distance. This selfie of David with the President doesn't look like they're both squished up right in front of the camera. I don't know about you, but whenever I've taken a selfie it looks like the camera was Scotch taped to my nose! It gets even worse when you're trying a group selfie. The angle's all wrong, it's out of focus, too much sky or too much ground, and... Oh no, you left out Robert Well, here's the solution to the selfie problem! 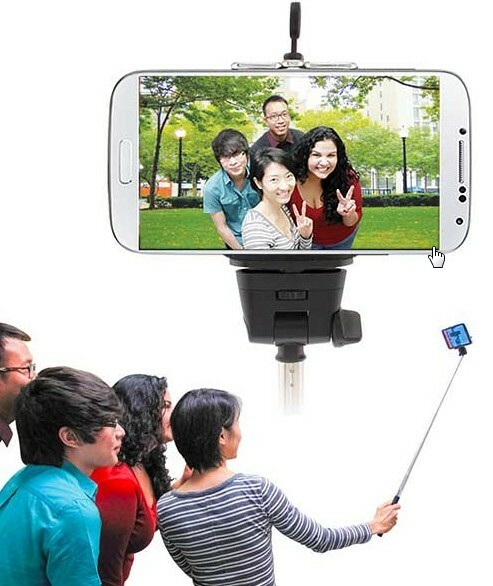 The "Bluetooth Selfie Stick." 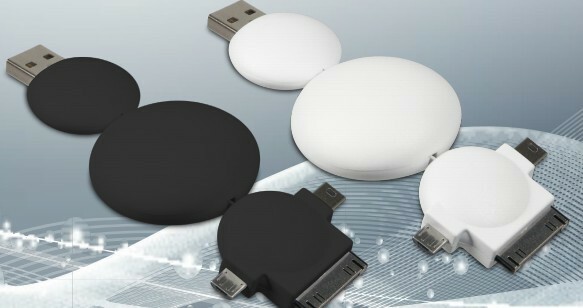 You may have seen these around as they are now one of the hottest tech items. 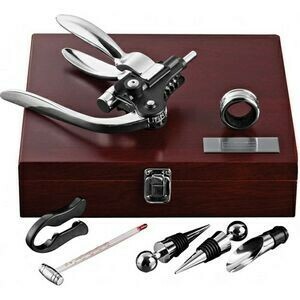 These would be ideal for a Sales Achievement reward meeting, a Partner's retreat or a Board retreat. How great would this be at an Alumni Reunion? Or any kind of reunion or company outing. How about if your company is being recognized at an awards ceremony? Here's the pricing: 100 300	500 $19	$17.78 $17.72 The setup is $43.75/color and there is a $0.44/stick charge to imprint a 2nd color. Free Setup on the first color...a $43.75 savings. This is one of the coolest items we've featured. It is brand new to the promotional products industry. 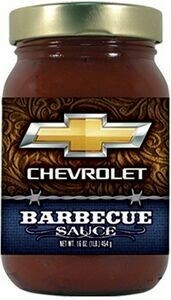 So, if you want to know what's the latest, hottest promo item...here it is.! 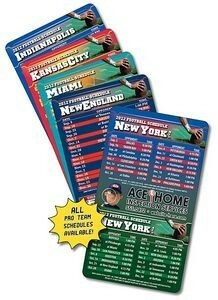 These are being introduced to the promotional products industry this week at the PPAI Expo in Las Vegas. Call us up and order yours now. You can have them in just 2 weeks. What makes for a great giveaway for a trade show or conference? It should be useful to the recipient. Why? Because something that's useful will be retained. That's what you want from your promotional item. It should be easy to transport to the conference or use in a mailing. Large bulky stuff is hard and expensive to drag around...both for you and for the recipient. It should be relatively inexpensive. 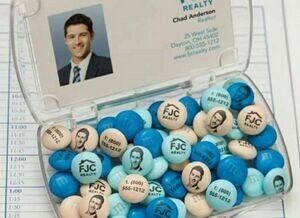 These are giveaways designed to get your name in front of clients and future clients. No need to spend a ton of money here. Here's a nifty product that meets all the criteria. 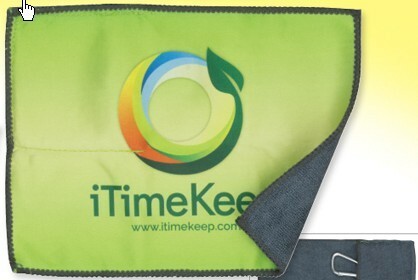 This is a 2-in-1 microfiber cloth on one side with a textured scrub surface on the back. There are 2 sizes: a 4" x 8" rectangle and a 5" x 5" square. There's also a 5" x 7" "Smart Stash" that folds into its own pouch and has a strap and carabineer clip. The beauty of these cloths is that you can print in full color on the microfiber side. You can create any design you'd like and print it on the whole front side! Here's the pricing: 5" x 5" square...500 at $1.15 each 4" x 8" rectangle...500 at $1.29 each smart stash...250 at $2.49 each $60 setup for full color imprint on the front (microfiber)" side. 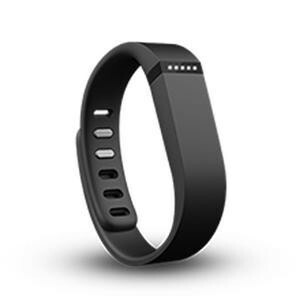 This item solves your problem of finding a useful and inexpensive item to use as a giveaway. Call us now and get you cloths started. This is the time of year when I find myself opening doors with my elbow. Or pulling down my jacket or sweater sleeve to cover my hand and then opening the door. I'm like a surgeon washing my hands in a public restroom. I use my elbows to operate the faucets. Thank goodness most paper towel dispensers are motion activated. I sound like a real germaphobe..at least I'm not as bad as Howard Hughes. I just don't like getting a cold and being out of action. Large gatherings are particularly tricky. It's a little socially awkward to introduce yourself, shake hands and then go for the hand sanitizer. This is especially so with conferences, educational or training sessions and sales meetings. You can be a hero if you're planning or hosting one of these events. 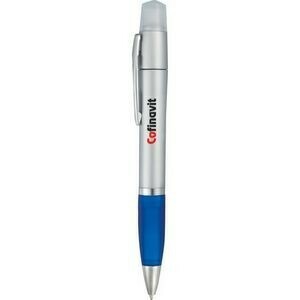 Combine this sanitizer-pen with a notebook or pad of paper and they'll be singin' your praises. This would also be great for your sales team. They can write the order and germ proof their hands! Later, away from their customer. Cold and flu season is upon us. It will last until April. Are you planning or hosting a conference or meeting in the next five months? Call us and you'll get all sorts of accolades for being such a thoughtful host. Chilly office?...Frumpy fashion? We have a thermostat here in the office that always says 74. It lies! I know it's not broken because sometimes it will go up a bit or down a bit...but it seems to prefer 74 degrees. We prefer it warmer than the freezing temperature in here most mornings, so we jack it up. 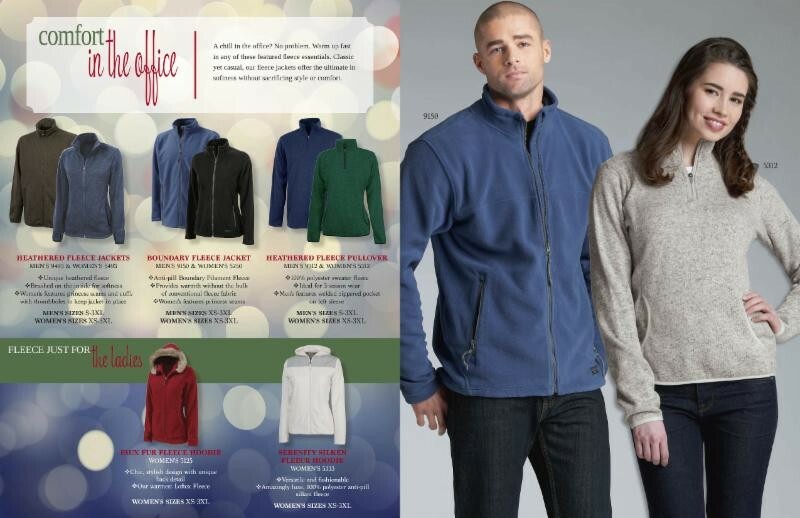 We're lucky because we have a showroom with fleece jackets and vests, sweaters and sweatshirts. But if your office looks more like these pictures, we can help. We can outfit your staff so they are warm and stylish. 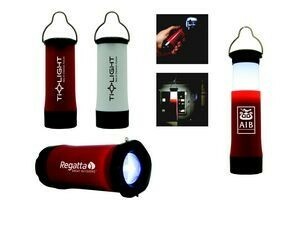 We also have many items that will work very well for your staff indoors at a convention, tradeshow or conference. If you have staff out in the field we have quite a few pieces designed for extreme weather. Give us a call now...it's only going to get colder! The disappearing convention tote or What the experts do that you should know... January 2nd and the convention, conference, and tradeshow season begins. Every January the promotional products industry holds its largest trade show, "The Expo." It covers 2 floors of the Mandalay Bay in Las Vegas. There are about 1500 - 1800 exhibitors, all showing their latest promo products...all with samples, giveaways and catalogs. In the corridors just outside the exhibit floors are racks and racks of tradeshow bags for attendees, supplied by 3 or 4 of the bag companies. They're prominently decorated with their names and booth number. They feature their best full color graphics. They are LARGE! Large is good! Why? Well they know that as attendees go around picking up catalogs, literature and samples the small bags will fill up quickly. What happens then? Those small bags go right into the large bags. 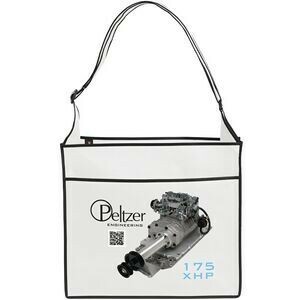 If yours is the big bag it will be your logo that's seen throughout the entire convention, tradeshow, conference. Want the big bag? Pick either of these recommendations. Both are: Sturdy, made from 100GMS nonwoven polypropylene. Plenty of capacity, both are 16" x 14" x 6" The "Ultimate" has 2 biz card holders & utility pocket on both ends The "Burst" has side pockets Both have adjustable shoulder straps. Don't be the company with a small tote that can't hold enough and disappears into one of these. Order before the end of January and we'll waive the setup charges. I don't know about you, but it seems I spend almost as much time untangling the cord to my ear buds as I do listening to music. Messenger bags and backpacks with a media port hole are another challenge. You have to snake the cord through that little hole and hope that you don't disconnect everything with a sudden move. What a pain! 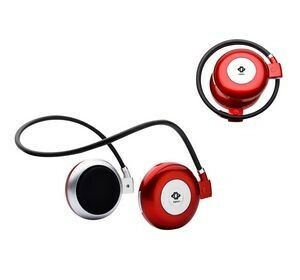 But here's the solution...bluetooth wireless headphones. These are only 2 of the stylish wireless headphones available. We have many more at various price points. Both deliver a high quality audio experience, they're lightweight and can switch from music to talk. Plus, they'll display your logo prominently. Call me now. We can have these to you in time for the holidays. 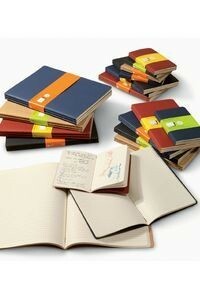 These would make a very nice staff appreciation gift! Giving corporate holiday food gifts can be challenging. If you need food gifts that are either Gluten Free or Kosher you've probably had a hard time searching. We can help you. 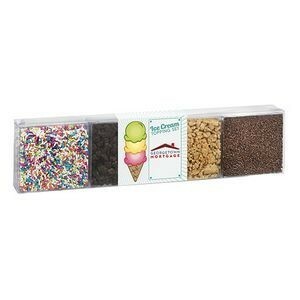 We have a wide selection of food gifts that satisfy both dietary needs. 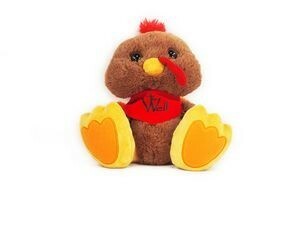 We carry many options for Gluten Free and Kosher food gifts. The 4 highlighted here are just a few of our many choices. 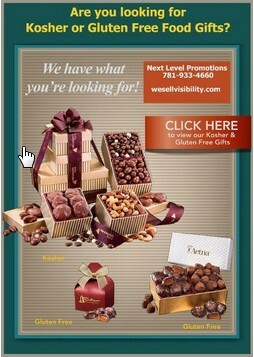 If you click on the image below you'll come to our Pinterest boards for both Gluten Free and Kosher food gifts. "Certified Kosher" certificates are available for all of our Kosher food gifts. If you order now you'll have these in time for the holidays. It's about 70 and sunny as I write this on Wednesday, October 29th. But we all know that pretty soon it's going to be freezing cold, snowy, sleety, slushy...you get the idea. And even though we think of Florida, Texas, Arizona, and California as sunny and warm, it can get chilly and damp of a winter's evening. I feel like I've been on this rant before. I really don't like cold weather. It's probably a pretty good bet that your clients don't like cold weather either, except for those who like to ski and snowboard. Others of us, who don't necessarily want to wear layer upon layer of clothing to stay warm while relaxing at night, need something to keep us warm. Here's a solution for the long, cold nights ahead. 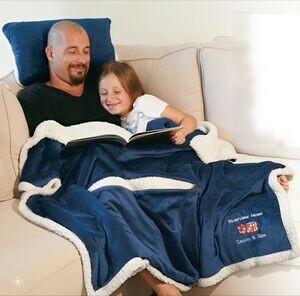 Fleece blankets. 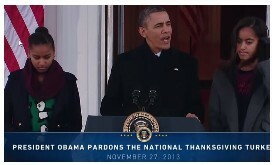 They make a thoughtful "Thank You" gift. 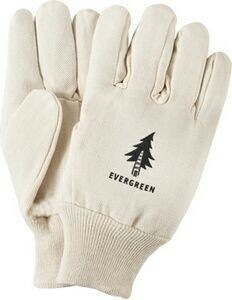 Embroidered with your company's logo, these will be an instant hit! You can just hear your clients saying to their significant others, "hey hon will you hand me that blanket from (Your Name Here!) That's a very nice way to be remembered. These all come in a convenient vinyl carry bag with a rope handle (except for the children's blanket). Before your fingers are too cold to push the buttons on your smart phone, give us a call. 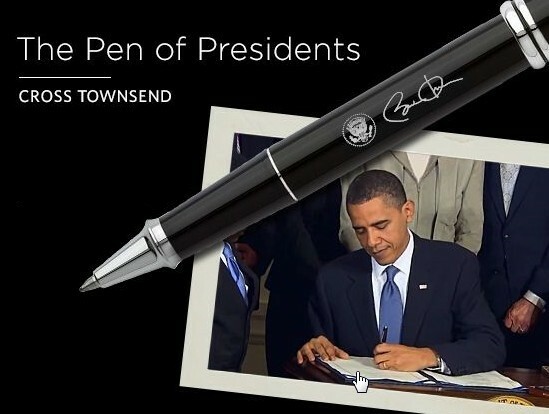 These make sense for any kind of business and are also a great way to thank your staff. I got an email from a supplier advertising The Farmers' Almanac. It says we're going to have "a very cold, wet winter." Swell. A guy who works in the office across from us said the same thing. "Farmers' Almanac says this winter's going to be worse than last." Swell. To make myself even more despondent I went on-line to see what the Almanac had to say. It turns out, (and I think I already knew this), there are two Almanacs. One is The Farmers' Almanac (note the position of the apostrophe) and the other is The Old Farmer's Almanac. I thought there might be some juicy drama and it would make a great "Pick-Of-The-Week." Bitter rivals, badmouthing each other, sabotaging the printing presses, etc. etc. No such luck; they're competitors but no drama. Turns out that The Old Farmer's Almanac is the older of the two. It's been continuously published since 1792 (222 years) The current editor is Janice Stillman, the first women to hold the position. After 40 years of publishing and outlasting other almanacs "Old" was added to the title in 1832. 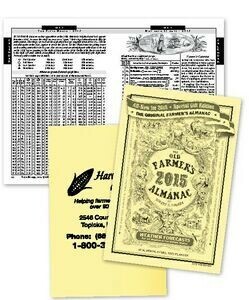 The Farmers' Almanac was first published in 1818 in Morristown New Jersey. It's now published in Lewiston Maine. Its claim to fame is its top secret mathematical and astronomical formula for predicting the weather. Both are pretty terrible at forecasting the weather. Which is odd since both are sold for their supposed ability to peer into the future. Neither is better than chance. But, who cares if they can't predict the weather. We love them because they are beloved, traditional New England brands. You can predict that your clients and prospects will be happy when you give them a copy bearing your logo. I predict that you'll call us to place your order...it will make a much appreciated gift. You know how bears load up before winter? It's pretty well known that bears spend the Summer and Fall loading up on food before Winter sets in. What you might not know is that bears are not true hibernators. They just go into a deep sleep. Their metabolism, heart rate and respiration are not substantially lower than when awake. We're kind of like bears. (well at least I'm kind of like a bear.) We seem to be pulled toward foods that put on that extra layer for winter protection. Instead of that summer salad I'm more inclined to go for a pasta dish. Instead of no dessert or sorbet I'll go for the triple chocolate lava fudge cake, (withwhipped cream of course!) One way to look at these treats is that they're not really an indulgence but rather a survival necessity! Without them how are we expected to survive until Spring? Our favorite source for to-die-for gourmet gifts is Gifted Expressions. Having now spent two full afternoons taste testing their offerings I can attest to their deliciousness (if that's a word). 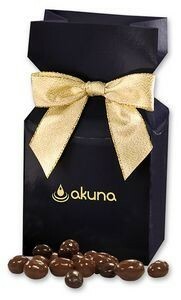 All of their gifts are fresh and elegantly packaged. They have the ability to include your logo'd item (like a travel mug) into some of their gift baskets. And, of course, they offer imprinted ribbon. So, don't be like this poor fellow sitting there waiting for your treats...call us and we'll get your winter survival gifts ordered and sent off to your clients and future clients. Little Miss Muffet Sat on a tuffet Eating her curds and whey; Along came a spider, Who sat down beside her And frightened Miss Muffet away." Let me explain because I know a lot of you are thinking "he's got way too much time on his hands if he's writing about nursery rhymes." 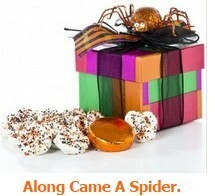 I got an email from one of my suppliers with this great gift idea for Halloween; the "Along Came A Spider" assorted candy treats. That got me to thinking; who was Miss Muffet? What exactly is a tuffet? What are curds and whey? What's with a spider? The most prevalent explanation, though there are others with one involving Mary Queen of Scots, is that the rhyme was written by Dr. Thomas Muffet, who was an English doctor and entomologist. (1553-1604). Miss Muffet was his stepdaughterPatience Muffet. Apparently, one of the Doctor's spiders got loose and scared her while she was eating her breakfast. OK, but what are "curds and whey" Basically it's cottage cheese. If you have the time check out the link, pretty interesting. And lastly,what's a tuffet? It's a low seat, like a stool. The other definition is that it's a clump or tuft of grass. So maybe our Miss Muffet was sitting outside eating her cottage cheese. Makes sense that she'd run into a spider if she were outdoors. This is all probably much more than you ever wanted to know about Little Miss Muffet, and perhaps we'll never know the real story. But. 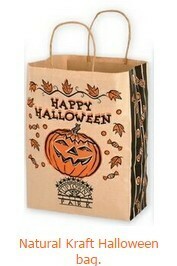 if you want to see some great ideas for Halloween gifts visit our Halloween Pinterest board. I'm writing this on September 15th. Monday, September 22nd is the last day of Summer and, obviously, it follows that September 23rd is the first day of Autumn. The mornings are starting to get a little cooler and by the end of the month we'll start to see some trees starting to turn. By the beginning of October, it will definitely be cooler during the days and the nights will be crisp. Inevitably, sometime in October or maybe in November, we'll get a stretch of really warm days. Just as inevitably lots of folks will declare these days as "Indian Summer." So that you can sound like you know what you are talking about with your friends, here's how the The Old Farmer's Almanacdefines "Indian Summer. ": "The warm days must follow a spell of cold weather or a good hard frost." "The conditions described above must occur between St. Martin's Day, November 1 and November 20." I have to admit that I didn't know that second condition. But, who am I to argue with the Old Farmer's Almanac? So, now that we've settled the Indian Summer controversy, here are a few gifts you can send for Halloween...that's October 31st. Follow this link to see the original "Pick"